What is a Nutraceutical? Learn About Advanced Naturopathic Nutrition. Is it the same as a dietary supplement or not? Nutraceutical is a word that was created from “nutrition” and “pharmaceutical” by Dr. Stephen DeFelice in 1989. He was President of the Foundation for Innovation in Medicine (Foundation for Innovation in Medicine, FIM), in Cranfor, New Jersey, United States. The truth is that this concept is not something new, since the Paleolithic man acted based on this data. In Japan and other industrialized countries, the use of food as medicines was already being applied. Almost 2,500 years after Hippocrates we continue in an undefined out of time both comprehensively and from a regulatory point of view. For some time the term Nutraceutics has caused a great debate since this new concept is redefining the limits between a food and a medically. 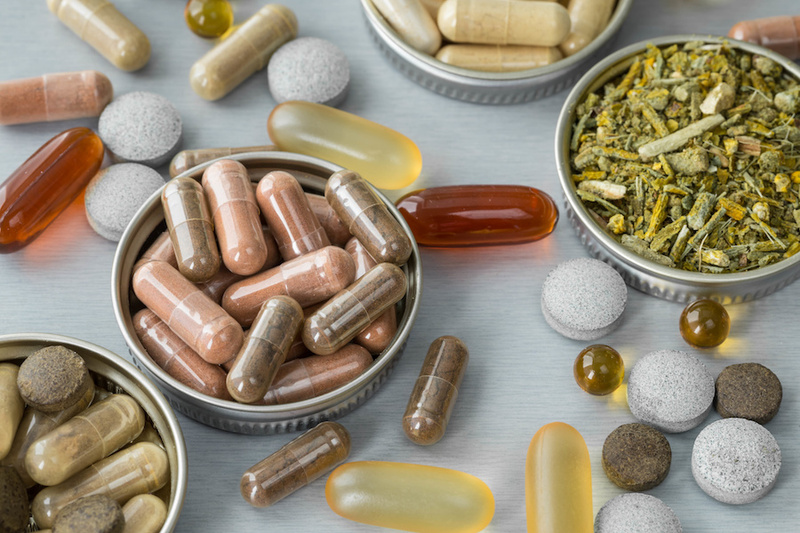 Nutraceuticals are those products of natural origin with properties in their active ingredients, which are beneficial for health and have preventive and / or therapeutic capacity. Functional Foods are those that give the body certain amounts of vitamins, proteins, carbohydrates, fats and other elements necessary for the body. When a Functional Food improves the quality of life, generates maintenance of health or prevents diseases, it could also be called Nutraceutical. Also it can be part of a naturopathic program such as a general body detox. Those products that are consumed to complement the diet that contain beneficial ingredients for health such as vitamins, minerals, amino acids, extracts and concentrates, metabolites etc. Increasing the daily amount of these substances. In Nutraceuticals, the active ingredients are concentrated at a higher level. Being so concentrated and pure, they generate a great contribution and nutritive effect in our body and are able to directly nourish our cells with the added benefit of scarcely leaving metabolic waste. It is a great advance in the subject of nutrition and its use is key to having good health in our current society, due to the unstoppable use of industrial foods lacking true nutritional value. Dietary supplements or Nutraceuticals are not substitutes for a healthy and balanced diet. Good nutrition based on quality food is the key to well-being and is irreplaceable. However, complementing our daily diet with Nutraceuticals appropriate to us according to the lack or disease that we wish to solve, will mean having an extra supply of nutrients in high concentrations that will guarantee complete nutrition at the organic and cellular levels. Selected raw materials with maximum purity and quality. Its active ingredients are in high concentrations. Formulas designed according to the principles of synergy. The combination of the ingredients of a formula makes them potentiate each other and produces an effect superior to that of their ingredients separately. We can find other benefits in this type of complement as for example that do not give problems or side effects. Its effects are felt quickly and has a great stabilizing value, they are antioxidants, very nutritious and preventive. Every day they are more demanded in the natural health market. Another interesting aspect is that, being products from natural raw materials, their bioavailability is high, that is, the rapidity of absorption is high and leaves no metabolic residues since they are very compatible with the human organism. -The noun “bios”, which can be translated as “life”. -The word availability that has Latin origin and that is the result of the union of these components: the prefix “dis-“, which means “from top to bottom”; the verb “ponere”, which is synonymous with “pone”; the “-ible” particle, which can be translated as “that can”; and the suffix “-dad”, which comes to indicate “quality”. Bioavailability is a term that refers to the speed and quantity with which an active ingredient, in the case of Food Naturopathy, is absorbed and reaches its point of action in the body without generating waste or toxins at all or in a few amounts. Nutraceuticals and Naturopathic Nutrition which is applied in the formulas we select based on raw materials of the highest quality, are designed to cover all the needs of the body and thus prevent ailments and strengthen all their systems: digestive, bone, circulatory , hormonal, nervous and other systems and aspects of the body. Therefore, these concentrates of active principles in the form of nutraceuticals are the vanguard of naturopathic nutrition and the future of intelligent nutrition. Avoid eating foods of animal origin, due to its high acidifying power. These creates a lot of toxicity in our body when they are metabolized. Do not overcook the food so that it does not lose its nutrients or alkaline qualities. It is advisable to support our diet in the consumption of certain food supplements or nutraceuticals. Since their pure and concentrated nutrients will be easily assimilated by our body. In addition to the great economic savings that would be achieved with the reduction of the use of medicines or in treatments, a healthier population would be achieved through better living habits and greater education in the area of ​​Nutrition.